Google today acquired SageTV, a company that makes products with streaming and media center-type services. The acquisition was completed and declared by SageTV last Saturday itself. Google is said to use the SageTV technology for its DVR and Slingbox like capabilities for possible integration with Google TV. SageTV’s products are nothing but media extenders and for a couple of years have been allowing customers to serve media over LAN, stream Youtube videos and also stream PVRs running SageTV’s DVR software to a home theater setup. 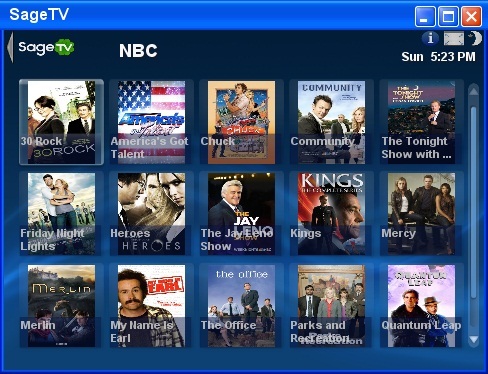 Now that Google has bought SageTV, it plans to implement a number of its features into Google TV. SnapStream Media speculates that Google bought SageTV in order to add native DVR capabilities to Google TV. Google is looking to focus more on Slingbox like abilities on the SageTV platform. What makes SageTV awesome is that it is friendly with other video file formats commonly used online opening it up to a wide range of audiences. Previous Awesome – Move Applications Between PC and Phone by taking a Picture! Next The Big Debate! Who invented the personal computer?